The Power of the Herd. 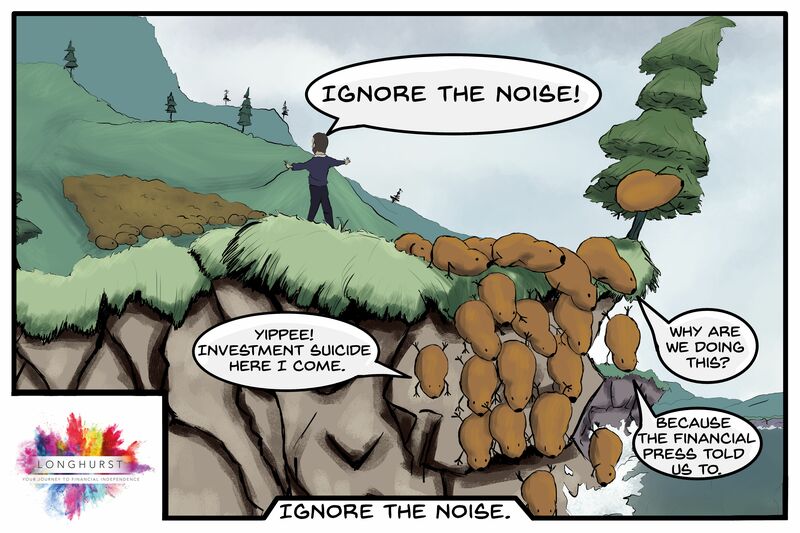 Reinforcing our message to ignore the noise. Together, we will ignore the noise of the financial press. Actual artist’s impression of Chris keeping investors from making the wrong decision, at the wrong time, for the wrong reason.